1. AR games: AR Games have a lot of potential. I’m pretty sure that Nintendo has a lot more AR games planned for the future. 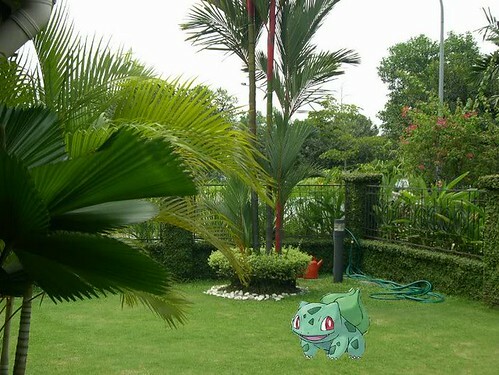 If I may reiterate what has been suggested before, Nintendo should release special Pokemon AR Cards that allow us to capture Pokemon in our own homes. If we want to catch them all, we need to buy whole sets of cards. Nintendo could make a bundle off of this and we would all become trading card junkies. Nintendo could also release games that have nothing to do with AR Cards but still use your environment as a setting, such as Face Raiders. Heck, the next Pokemon Snap game could use your own environments to capture Pokemon. 2. More Street Plaza Games: The Street Pass games included with the 3DS are very addicting. I suggest that Nintendo keep things fresh by adding new Street Pass games every couple of months via firmware update. 3. eShop: Even though the eShop has yet to debut, there are a few things that I would like either to make it to launch, or to be added down the line. a. DS Games: Sell DS games through the eShop. This way we can buy old gems that are hard to find (including imports), or just have favorite games inside the 3DS System all the time. Imagine never having to hunt down games like these ever again. b. Allow us to change button configuration for VC and 3D Classic games: With the configuration of the 3DS buttons, it would make more sense to use the Y and B instead of the B and A buttons. I hope Nintendo allows developers to change button mapping. c. Add FX Chip games: One of the worse things about the current Virtual Console is that it doesn’t have any Super FX Chip games. I assume it is because they are hard to emulate. Hopefully, Nintendo has found a way around this and is able to give us emulated games such as Star Fox and Yoshi’s Island for the SNES. It’s been too long since I’ve played this game. d. Add Game Boy Advance, Genesis, Wonderswan, NGP, and N64 games: This is a no brainer. 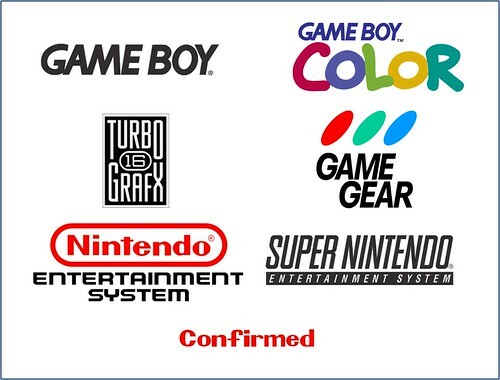 The 3DS Virtual Console is already confirmed to include the following systems: Game Boy, Game Boy Color, Game Gear, and Turbo Grafx 16. In addition, Nintendo has also promised 3D augmented updates to NES and SNES games called 3D Classics. Why not go all the way and include the GBA, Genesis, Wonderswan, Neo Geo Pocket, and N64 games. 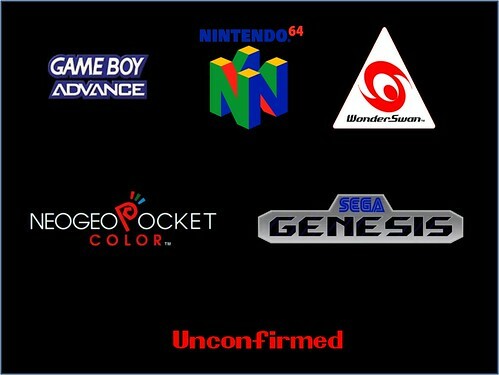 I actually think Nintendo will at least include the Game Boy Advance and Genesis. The others, especially the N64, I’m not too sure about. Nintendo seems more interested in making 3DS remakes or N64 games than actually releasing the old ROMS, after all. Imagine having all of these systems in your pocket. 4. Try to use StreetPass and SpotPass as much as possible: One of the things that irks me most about Nintendo is how they bring out some new features or technology and then they don’t support them. 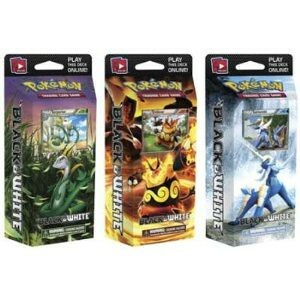 For example, Nintendo brought out the e-Reader and released only a handful of cards before it decided to drop support. Nintendo also released the Wii Motion Plus and, so far, only a handful of games use it, and most are third party. Nintendo seems to be doing the same thing with StreetPass and Spotpass. At first Nintendo was supporting StreetPass through, the StreetPass Plaza games and through Nintendogs + Cats. They also provide messages through Spotpass. Unfortunately, Nintendo has already announced that two of the biggest 1st party titles announced for the 3DS, The Legend of Zelda: Ocarina of Time and Super Mario Bros. 3DS, will not use StreetPass functionality. With regards to Spotpass, when was the last time Nintendo sent a message through this service? It was the message for the firmware update for March 27, 2011, almost two months ago. Nintendo should send StreetPass messages, at least, on a weekly basis to let us know what’s new with the system. Imagine getting your news straight from Nintendo without having to turn on your computer. Even something as simple as advertisements and game reminders, such as: “Hello, this is Nintendo of America. Next month we will be presenting at the Electronics Entertainment Expo (E3) on June 7th. Please go to www.nintendo.com for more information. And don’t forget to pick up The Legend of Zelda: Ocarina of Time for the 3DS on June 19, 2011.” See, that wasn’t too hard Nintendo, was it? Nintendo could do so much with StreetPass and SpotPass. It seems to me that Nintendo is doing as they always do; they develop a piece of technology and expect 3rd parties to pick up their slack. Nintendo really needs to lead by example, and the best way of doing so is by supporting their own advances in technology. Dear Nintendo, please don’t let StreetPass and SpotPass become the new eReader and Wii Motion Plus. All in all, I’m very excited for the future of the 3DS. I think it is a magnificent system with a lot of potential. I think there are many surprises coming down the line and I can’t wait to see any of them. Shigeru Miyamoto arrives on your 3DS via Spotpass!!! I don't have a 3DS yet, but I just wanted to express my appreciation for your article series. Not every point seems plausible to me, but all of them are intriguing in their possibilities. Good work. Thank you. I appreciate the support. At first I thought that maybe a few of these things were far fetched. But then I remembered how impossible glasses free 3D seemed not so long ago. If anyone can accomplish the impossible in the gaming world, it's Nintendo. I totally agree about Nintendo using the SpotPass notification more often. I think they should remind users that they can bring their 3DS with them as a pedometer and also for the StreetPass feature. I often wonder if people just don't bring it with them because they're not fully aware of the StreetPass functionality. Or maybe I'm just mad that I still haven't gotten one But I think it would be nice if they did send out a few more messages. I don't know about emulating the FX Chip games... 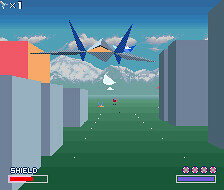 I'm thinking Nintendo would rather remake them in 3D as well, perhaps as downloadables. Yeah, I wouldn't be surprised to see them pop up as "3D enhanced" games rather than VC games. Whoa, whoa, whoa SNES and NES games confirmed for 3DS VC? Are they going to be the same selection as the Wii? Will you have to rebuy them? The announced ones are "3D Updates" such as Excitebike with 3D elements. I think that's what he meant. Hey, thanks for the plug! AR excites me. Excellent sirmastersephiroth, you're quite ambitious about the future of 3DS. So many possibilities for Nintendo to make the fans happy! On point #1, I hadn't thought about that before, but yeah, making another game that uses the environment like Face Raiders did would be great (no AR card required). I can see how something like Secret Tunnel's Bulbasaur image would be difficult because the 3DS would have to be able to recognize terrain vs. empty space, etc. Face Raiders gets around these difficulties by simply making the background a 'flat panel,' so to speak (no matter what's actually there). But the fact that the 3DS can actually distinguish parts of the background that are closer vs. far away make further advances possible! And for #4, yeah, I'm with @VofEscaflowne and @-JKR- on this as well, I hope Nintendo's support of StreetPass and SpotPass does not dwindle any further. My pleasure. I had thought about it before, but it I didn't think about it seriously until I saw your post. You may have meant it as a funny thread, but I think it's a great idea; one Nintendo should really get on board with. Yes, that is what I meant. I amended the article to make it more clear that the Virtual Console and the 3D Classics are two different elements of the eShop. Though, essentially, we will be playing great games from all of these past consoles. This is the part I'm most excited about with the 3DS. It will be a classic console dream machine, in portable form. I wonder if they expect us to buy all of those Virtual Console games over again. I hope not. I'm, uhhh... not going to do that. Hopefully a part of the E3 surprise is that we can play our VC collection on our 3DS after updating to the new firmware. That would be epic, but I don't think it's going to happen. I agree with most of the list except for the SpotPass one. The last thing I need is more advertisements from game makers or otherwise. As an example, I immediately stopped caring about 360 when the NXE replaced the original blades. It is one of the major reasons coupled with the price gauges, hardware failures and revisions why I will not buy the 360 successor. Ever. Even if it is better than spliced bread. Good stuff man. I really want to see AR included in normal retail games. Like imagine the 3DS iteration of the Hotel Dusk/Last Window series with it. Looking behind objects and stuff would be awesome. But perhaps it's limited because you need a card? I don't know much about the tech. As long as it doesn't need to be in a fixed place, as in Face Raiders, then you can do it without the card. Edit: That's me talking without knowing any tech limitations, but after all, Face Raiders does it rather well.